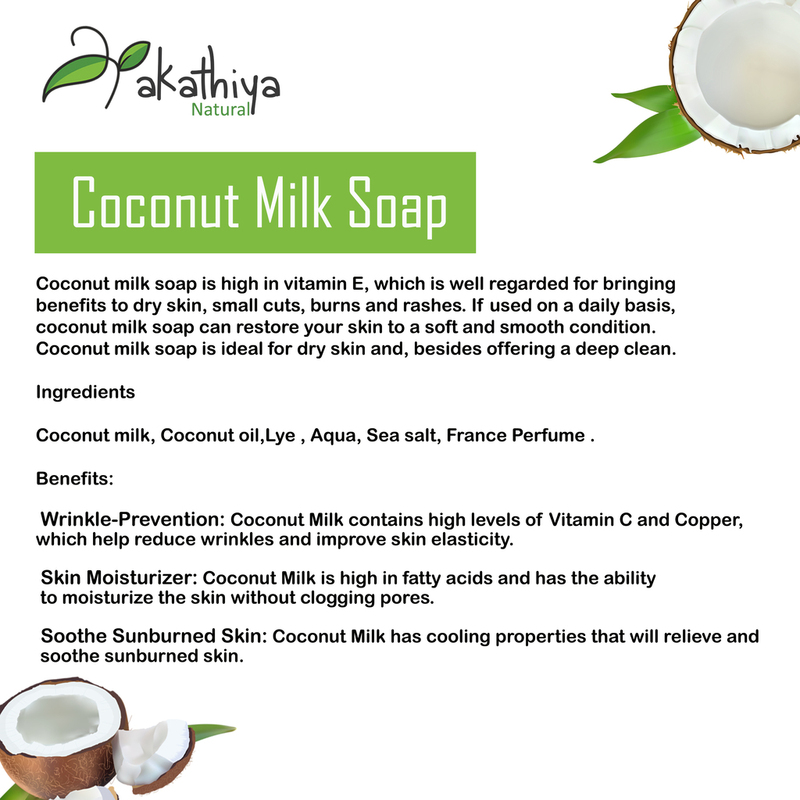 The health benefits of Akathiya Coconut Milk Moisturizing Bar for skin are amazing; the oil possesses , antimicrobial, antifungal, anti-bacterial, antioxidant properties. 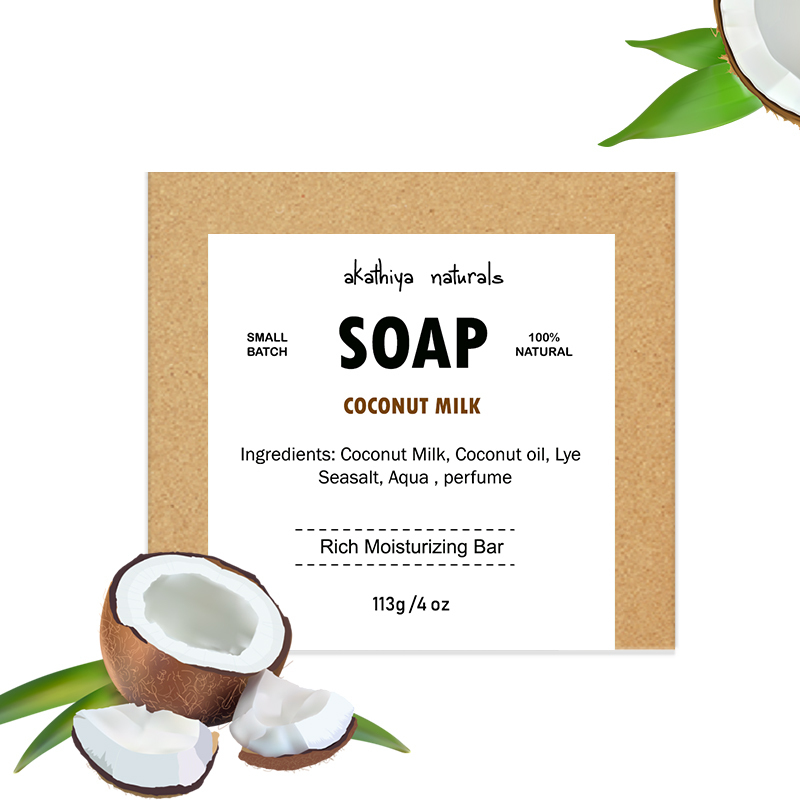 Coconut milk soap is high in vitamin E, which is well regarded for bringing benefits to dry skin, small cuts, burns and rashes. 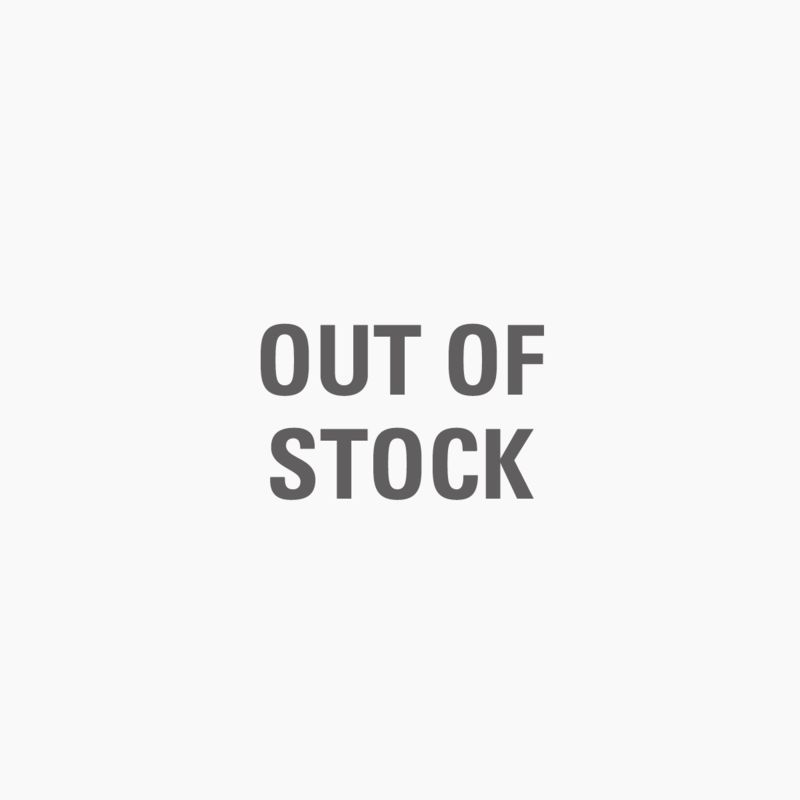 If used on a daily basis, coconut milk soap can restore your skin to a soft and smooth condition. 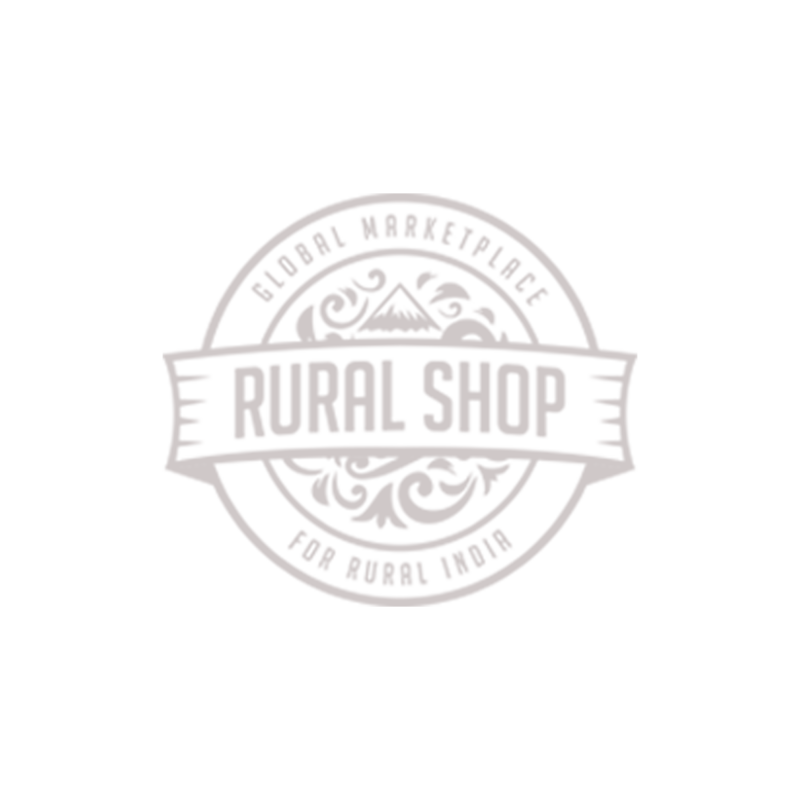 Coconut milk soap is ideal for dry skin and, besides offering a deep clean.